If you’ve been eating healthy for any length of time, you’ve heard about collagen. 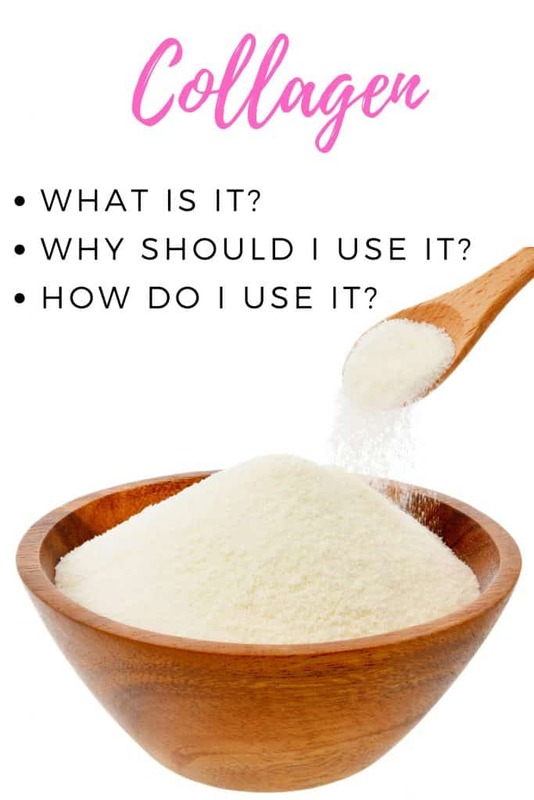 You’ve likely read about the importance of gelatin, the ease of collagen peptides, and the awesome protein your body gets when you take hydrolyzed collagen. 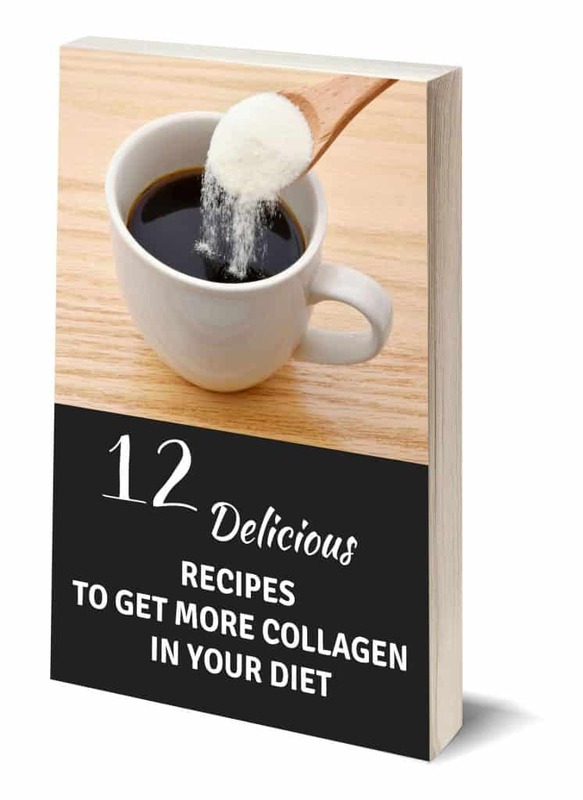 You’re also probably a little overwhelmed by it and need a simple guide to collagen. So grab your favorite coffee or tea and let’s talk. Collagen is an essential protein for your body. As you get older, however, your body produces less and less of it naturally which makes your diet and supplement choices more important than ever. This starts to happen around 3o, and by 40 years of age, your body is usually operating at a deficit in the collagen department. Since it’s essential for so many body processes and parts from joints and bones to your mental processes, this isn’t ideal. Enter: collagen supplements. There are all kinds of ways you can add collagen to your diet that range from drinking homemade bone broth to stirring it into your morning coffee. If you haven’t already tried adding it to your daily diet, there’s no time like the present! But how do you start? Let’s talk about why you want to make sure you’re getting enough collagen. You probably already know of the benefits of collagen for hair, skin, and nails. It strengthens them and helps them grow faster. However, collagen is about so much more than beauty or looking younger (not that we won’t enjoy that little benefit, though, are you with me?). In addition to giving your skin more elasticity and strength, it also gives similar benefits on the inside. The perks of collagen on the GI system aren’t visible from the outside, but if you’ve had any gut issues this is worth adding to your diet because you will feel the difference. Collagen can also help with your bone and joint health. In fact, it is the single most important protein to help with this! Both my husband and I love these benefits and notice the difference in our knees and other joints when we make collagen a daily part of our healthy routine. Many people notice that they take ill less frequently and have more overall feelings of wellness when they consume collagen regularly. This stuff is truly awesome! 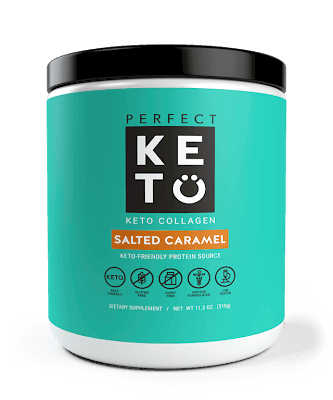 To check out some other benefits of collagen, Perfect Keto has an excellent article as does Self Hacked. What Are The Types Of Collagen? There are all different types of collagen and you’ll see so many ways to buy it once you start looking. But what does it all mean? The main options are gelatin, hydrolyzed collagen, collagen peptides, and integral collagen. Gelatin is what forms on the top of your bone broth when it cools, and it’s loaded with collagen. This is its most whole form, but also not the easiest for your body to assimilate. And because it’s not concentrated, you’d need to drink about 2 cups of bone broth a day. You’ll choose this for cooking recipes when you need a gelling effect. It will dissolve smoothly into warm or hot liquids, but clumps in cold. This is also readily available in capsule form and often the least expensive option overall. However, it’s not necessarily the best option for collagen supplements. Gelatin can be hard for your body to break down and your body may not be able to absorb and utilize all you consume. But when you take collagen into your body that has been broken down and processed so it’s more simple in structure, your body can get to work using it right away. Collagen Peptides are a more bioavailable form of collagen than what you find in bone broth or gelatin capsules. Your body can quickly make use of broken down proteins as soon as you consume them. This is fabulous! They dissolve easily into hot or cold liquids, but won’t gel up like gelatin powder will. This makes it ideal to stir into your favorite coffee treat to make it a nourishing, protein-packed power house of fuel for your body. This is actually just another name for collagen peptides, so either works just as well. You might also see “collagen hydrolysate” used on labels. Some brands refer to it as integral collagen. What Is The Best Collagen Powder? A lot of people want to know what the best collagen powder is. And here’s the thing: there are several great options. Custom Collagen’s 5 lb. box is the best collagen powder, price-wise. And it’s a good quality collagen supplement that we use in our home often. If you’re looking for straight up value and your basic hydrolyzed collagen supplement, this is for you. You can add this collagen protein powder to any drink, cook with it, or make a latte with it. 1 TB twice a day is a great amount to start with, and you can adjust how much you take after a couple of weeks with it being in your system based on how you feel. This is a fabulous collagen for Trim Healthy Mama adherents, low carb lovers, or anyone just looking to give their health a boost. You don’t need to be on a special eating plan to reap the benefits of collagen peptides in your body. Now if you’re looking for flavored collagen powder options to make your bulletproof keto coffee with? Hands down, Perfect Keto is the best collagen powder for the job. I always feel like I get the best bang for my buck with Perfect Keto, too, because they add MCT oil powder to the collagen so you’re getting even more healthy awesomeness. We use this nearly every day in our home! If you’re adhering to a keto plan, this is fabulous because it helps you get your healthy fats in the right proportion to your protein. So how do you go about getting this into your system? What’s the best way to take collagen? Personally, I suggest drinking it because it’s simple and fast. Both my husband and I take 1-2 TB daily, stirred into coffee or tea. The great part about this is that we get to enjoy a collagen rich latte and nourish our bodies supply of collagen. Win-win! However, you can also make fudge, protein bars or coffee creamer or even soup with it. There’s really no limit once you have your hydrolyzed collagen on hand. What your favorite way to get your daily collagen boost? Perfect timing for me! I am ordering more collagen today so I’m going to try the 5 pound one you recommended. Thank you for your timely post! This morning I thought, “Man I dislike the way it makes my coffee taste, I need to figure out how else to get it in.” Then bam….. your post! I am so glad it was helpful to you! I have the apha-gal allergy so I use Further Foods marine collagen. Hope this helps anyone with my condition. So interesting and so many delicious ways to sneak it into your diet! Those fudge bars sound delicious! Can you get too much collagen in your diet. Right now I’m taking about 1 tablespoon in my coffee. Yes, I believe if you use it every day, it will be enough to see results!